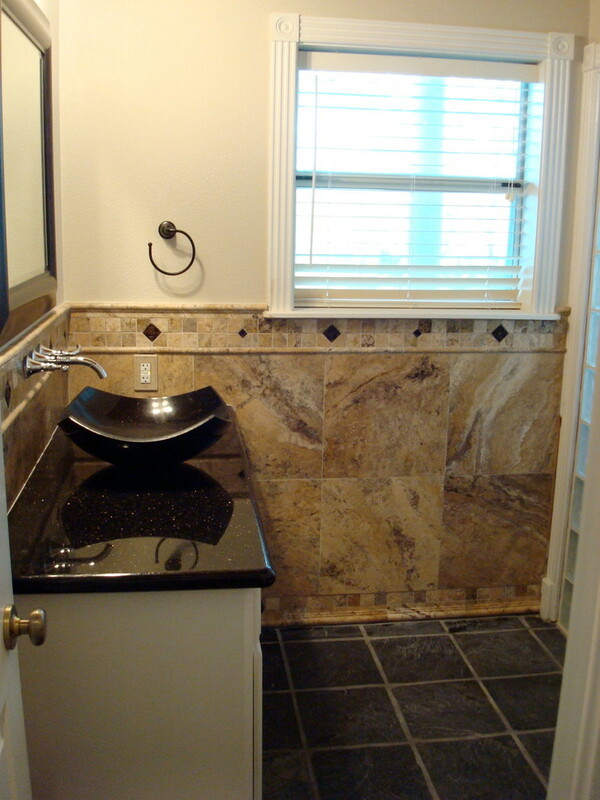 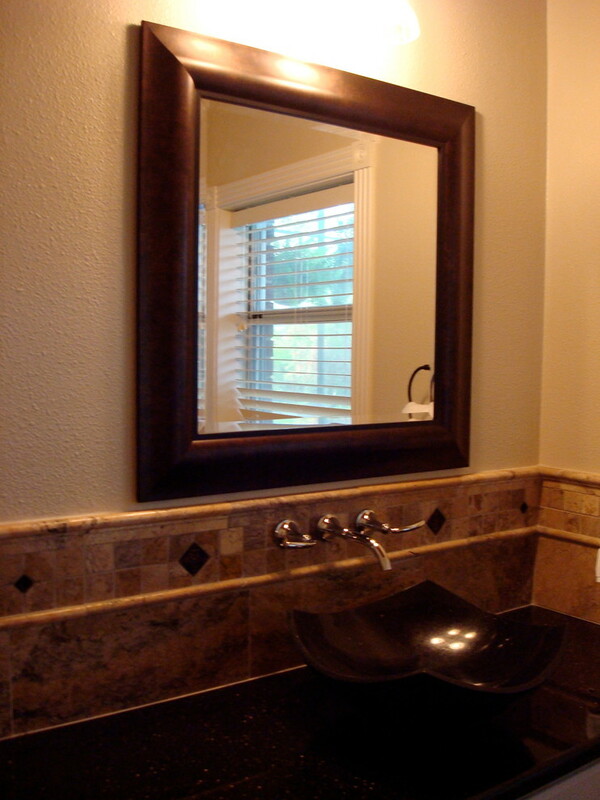 1/2 Bathroom remodel. 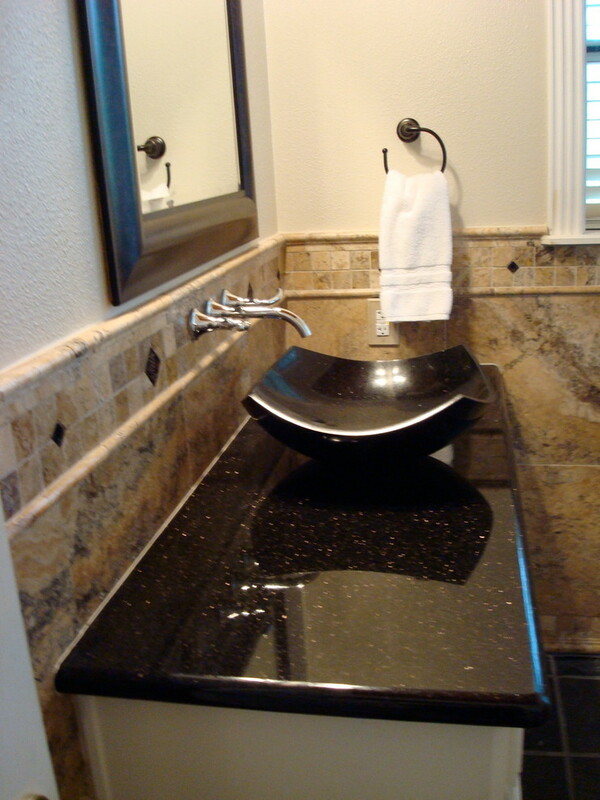 Black galaxy granite. 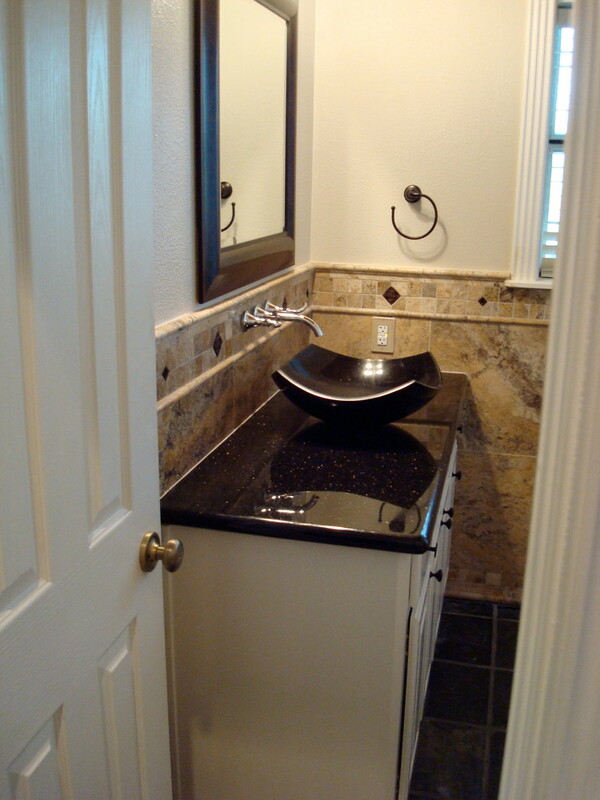 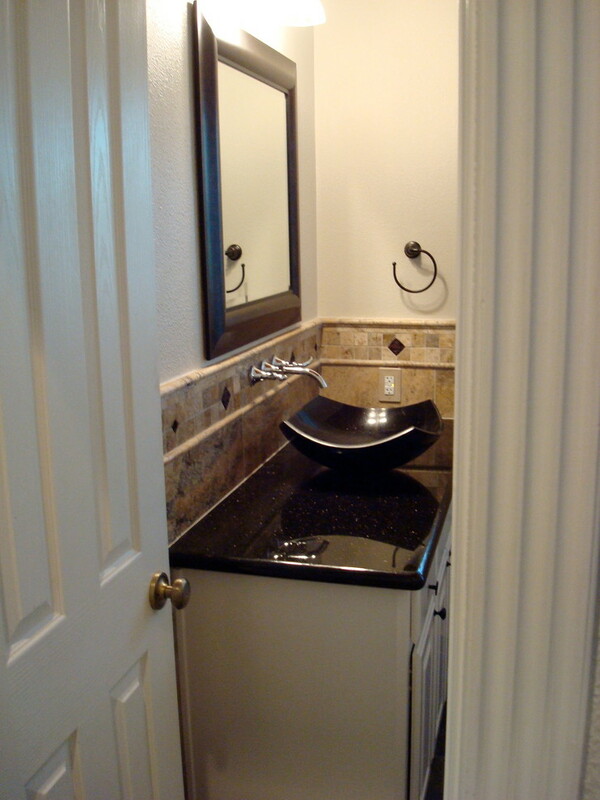 Granite vessel bowl sink. 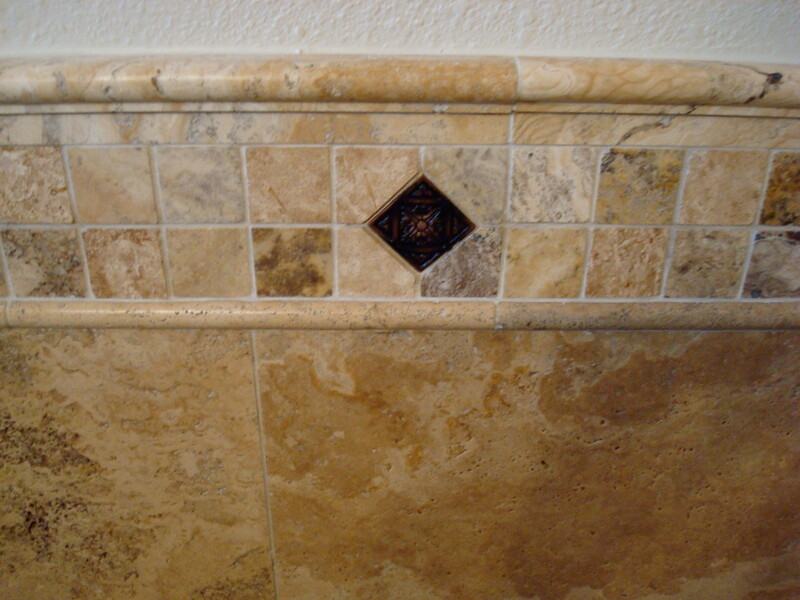 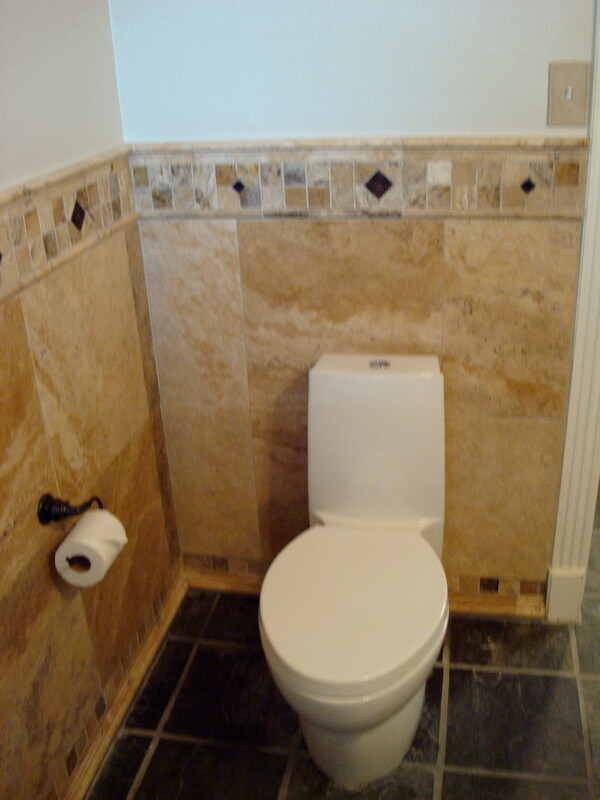 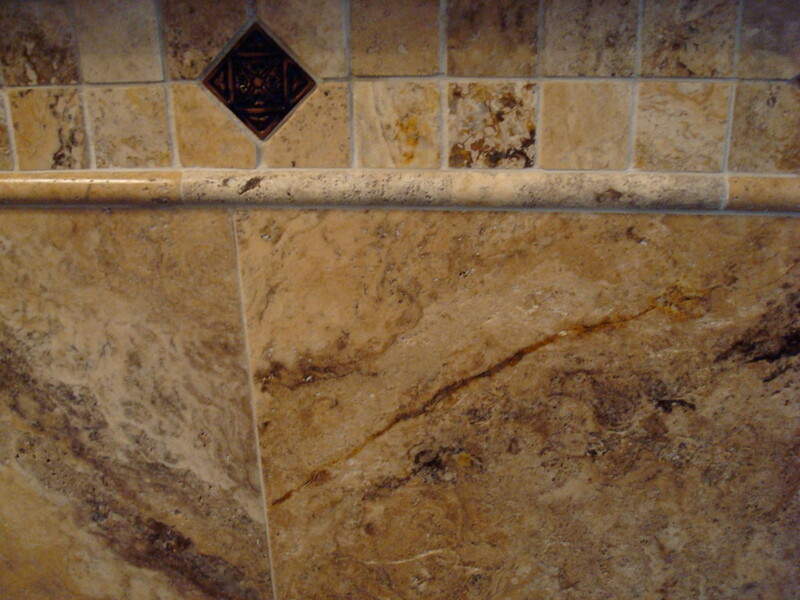 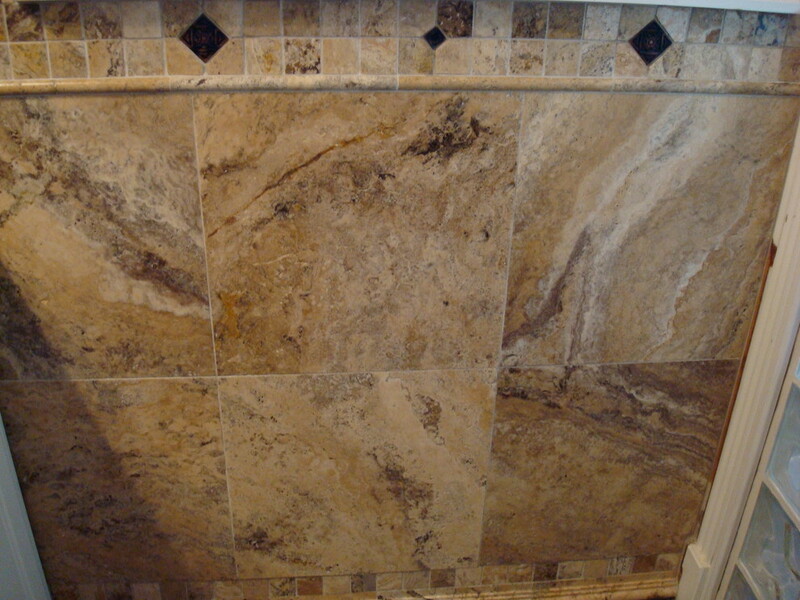 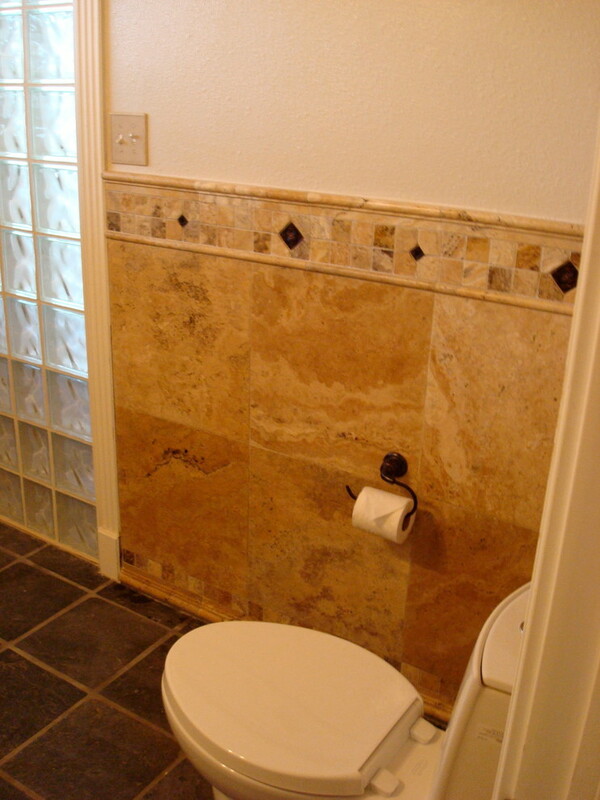 Travertine wainscot tile. 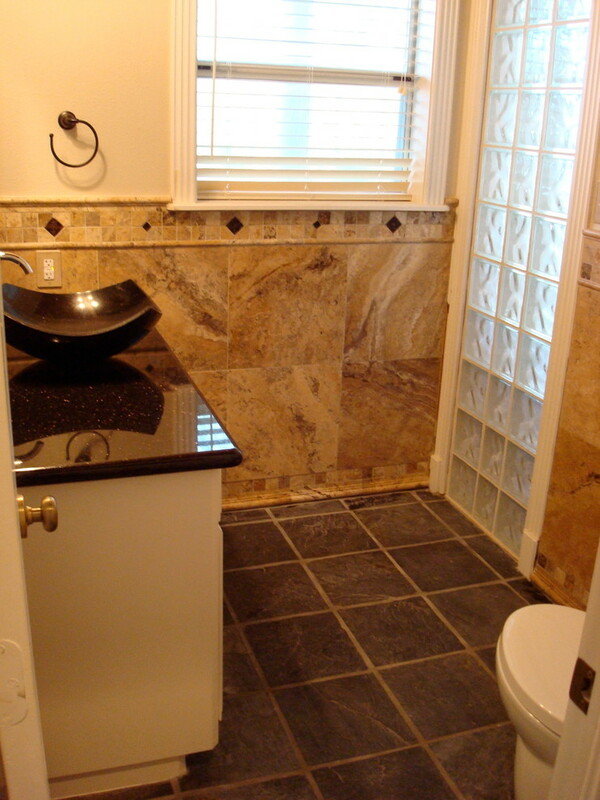 Black slate tile flooring.